Happy Friday, everyone, and the last day in April! Today my nephew turns 15, which is a reminder of how fast time flies! (Happy Birthday, Adam!) Around Dominion Electric Supply we are excited about a new crystal line that all three showrooms brought in from the Dallas market. And you will NOT believe the prices! Email me or post a comment if you want to know HOW low!!! 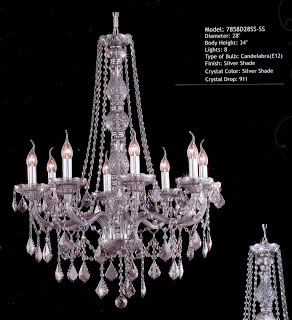 I started with my favorite ~ Elegant Lighting # 7858D28SS-SS. 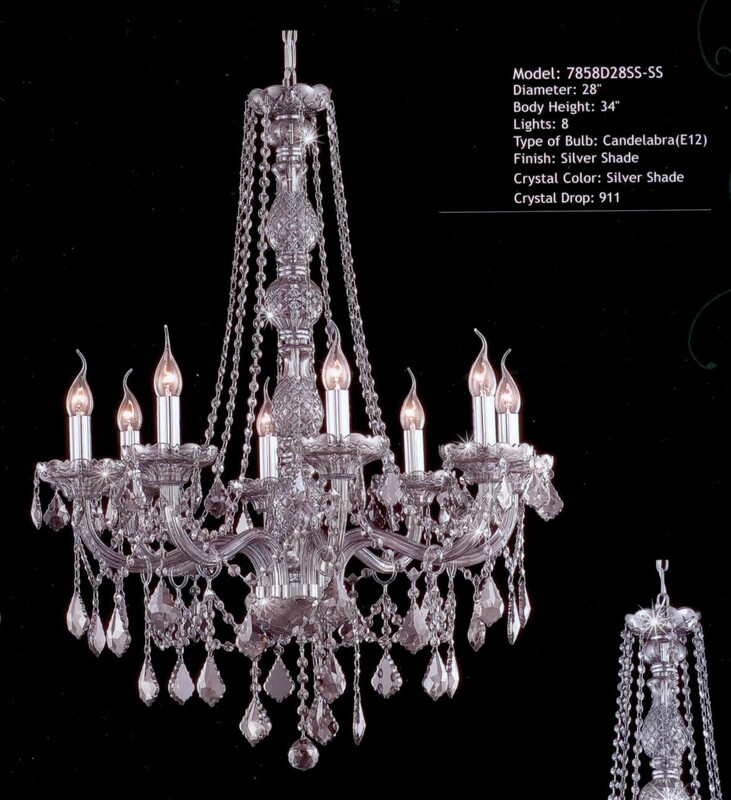 You HAVE to come see this one in person because you can not tell how gorgeous this piece is from the picture. 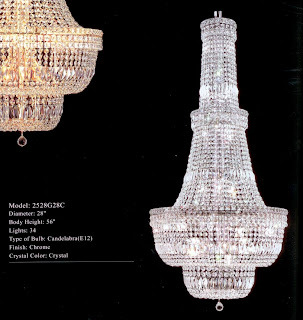 The crystals are "Strass Swarovski Silver Shade" ~ the silver is quite subtle, but absolutely stunning! 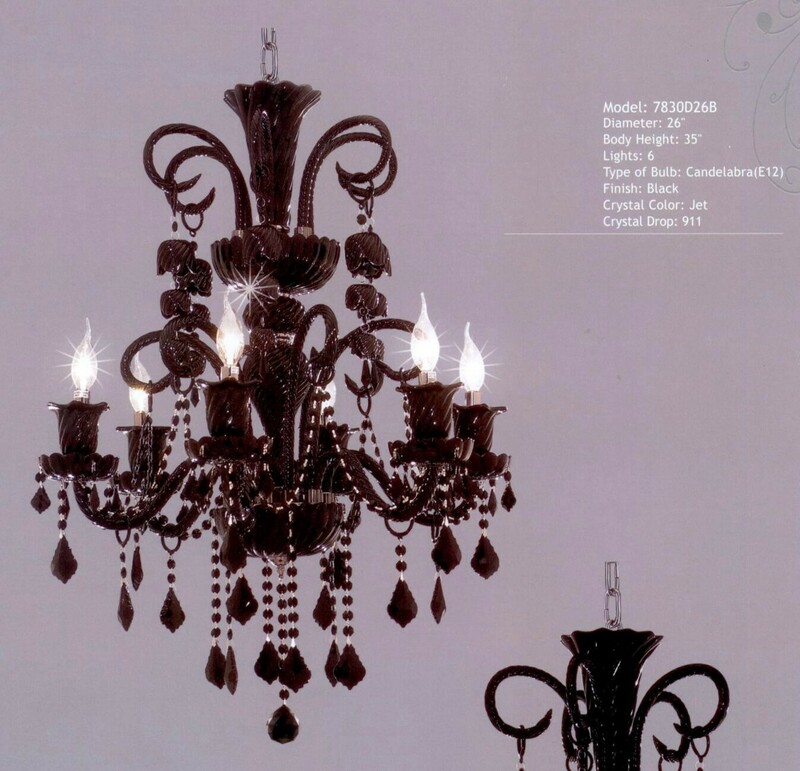 Elegant # 7830D26B ~ this is one of the most beautiful black crystal chandelers I have ever seen! 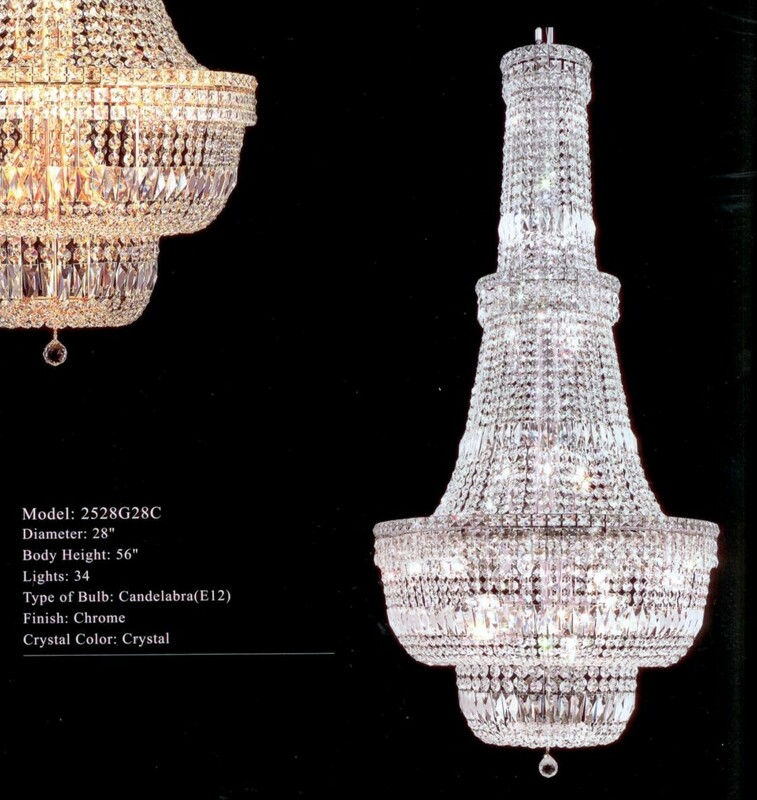 Elegant #2528D28 ~ This is a classic style that we displayed years ago by another vendor. 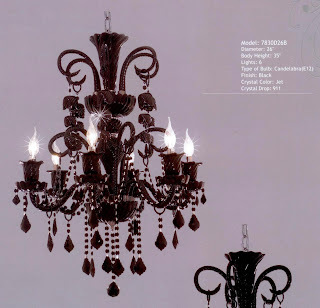 It's still a great piece for today's large foyers. So sparkly! 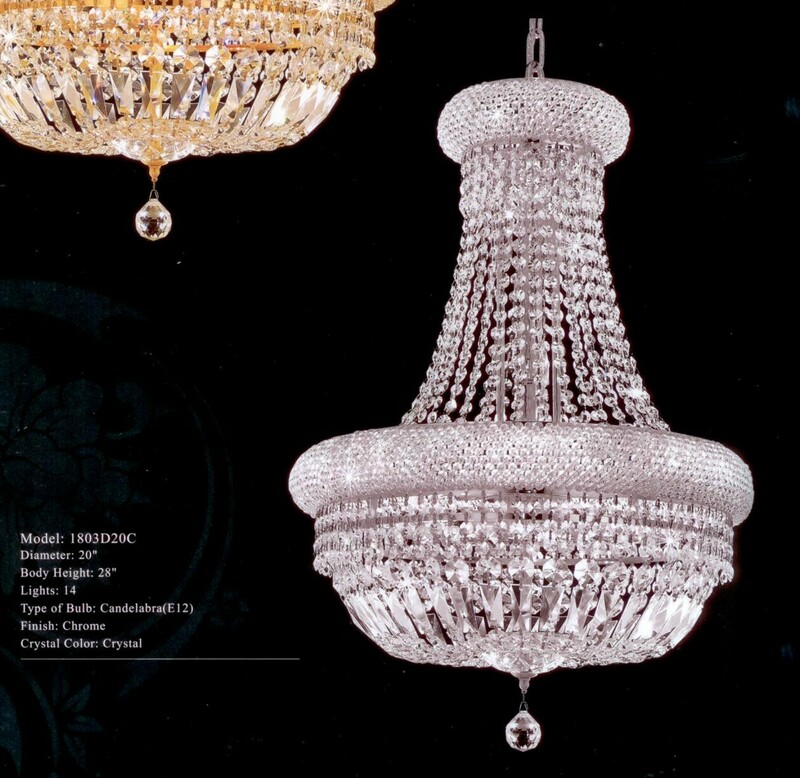 Elegant # 1803D20C ~ I love the thick band in the middle of this empire style. Very unique! Elegant # 2030F12C ~ Isn't this a neat mixture of "piano keys" and crystal balls? Did you bring in the rubber tip light bulbs too?? your page is looking awesome!